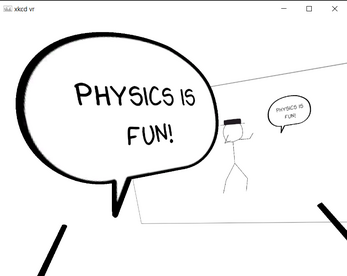 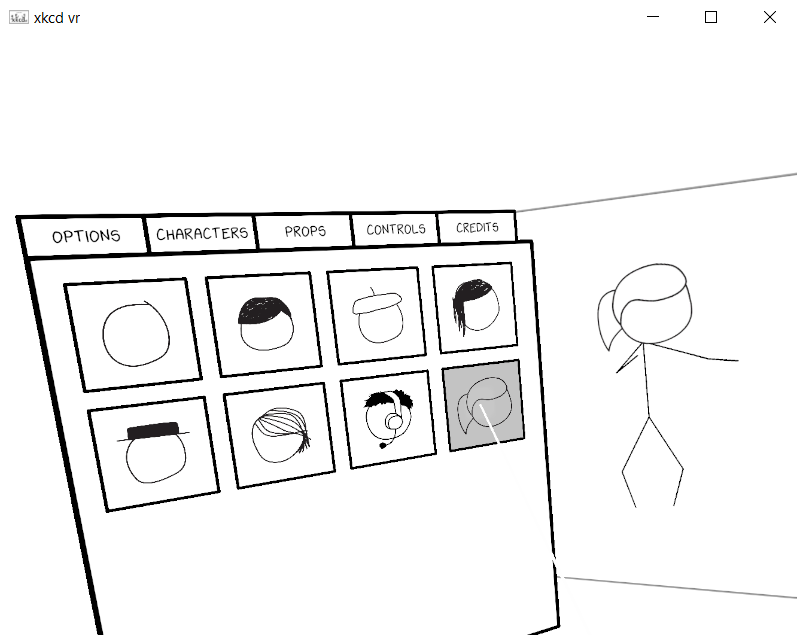 Put on a VR headset and become the xkcd characters. 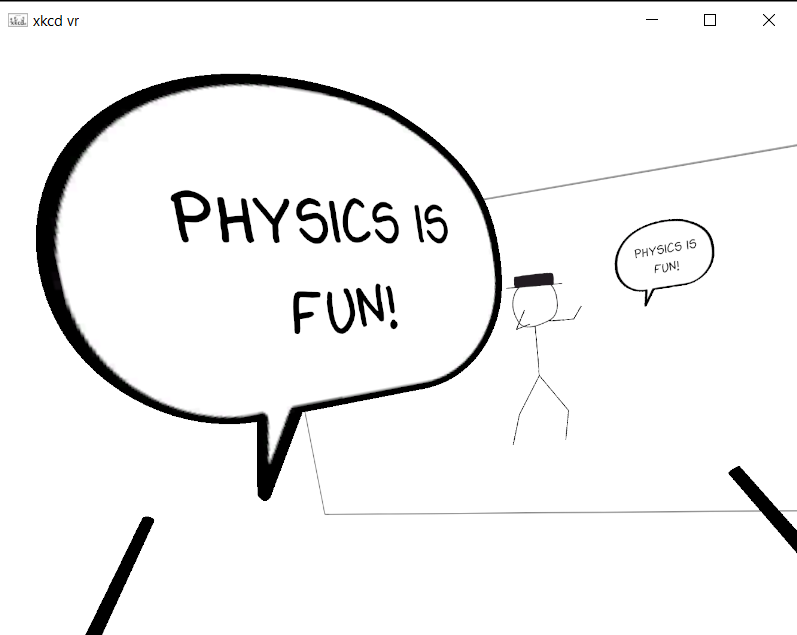 Look down and see your stick-man body! 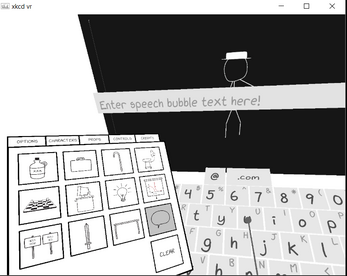 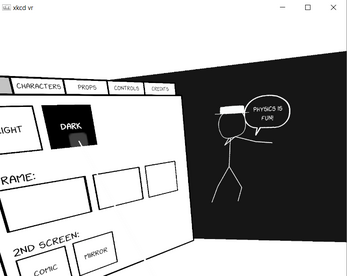 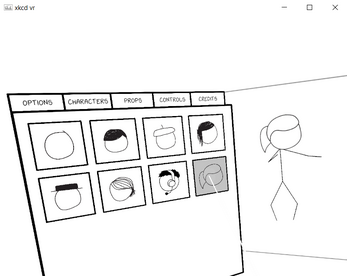 Set up cells with props and text and take screenshots to make your own xkcd-inspired comics. 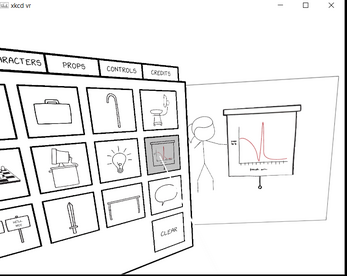 Screenshots are saved to your Documents/xkcd folder. 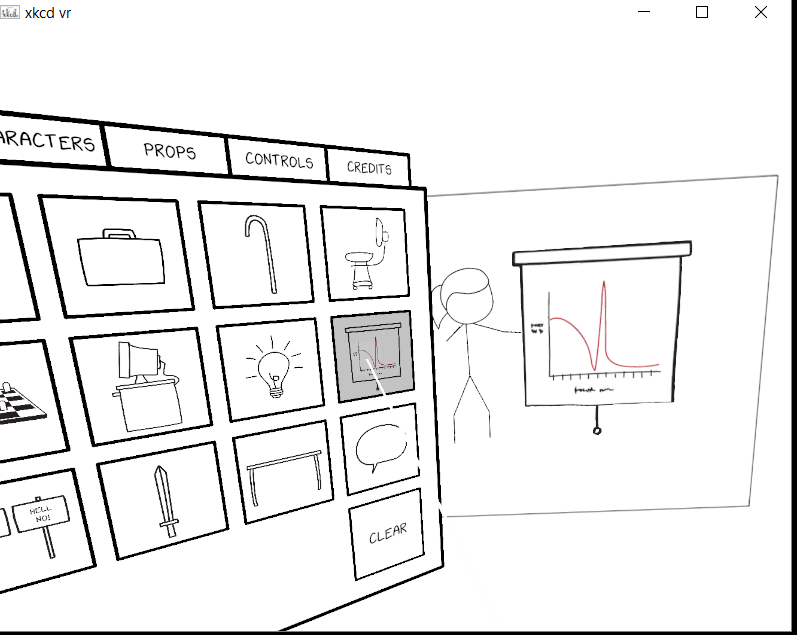 This was made as part of the itch.io xkcd Game Jam and the Winnipeg Winter Game Jam 2017. 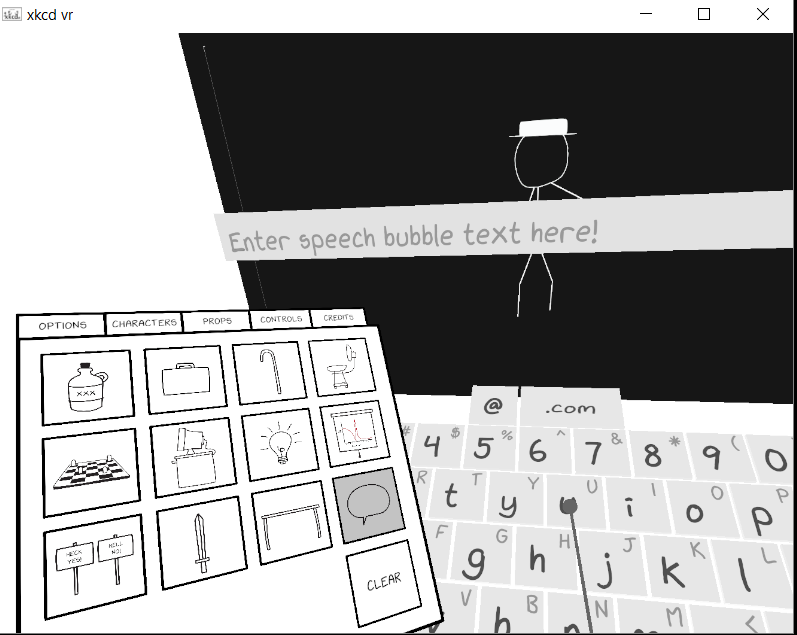 Requires Oculus Rift or HTC Vive.